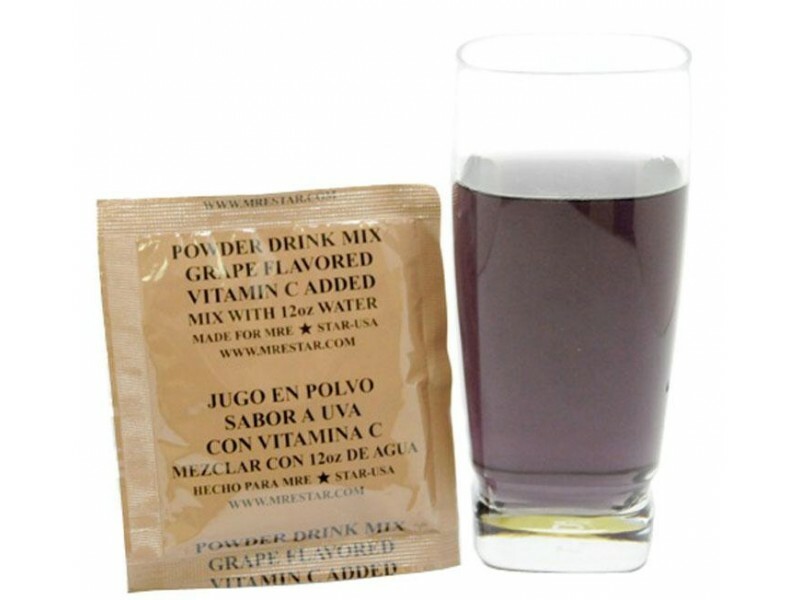 MRE Star grape drinking mix is perfect addition to any camping, hiking or fishing trip. You can also include it in your stock of disaster and emergency plan foods. MRE Star Grape drink will do the trick any day. This is another one of America’s favorite drinks produced under the strictest quality control measures. Each 25 gram sachet makes a perfect drink, when added to 12 oz of water. 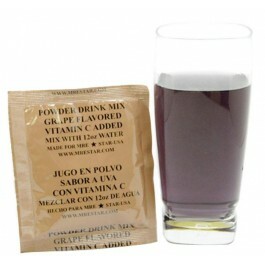 The HACCP regulations and standards are followed in packing this MRE drink mix. In addition they are also approved by the FSIS, USDA and FDA.